BGO Records got some good music for you. If you visit BGO records store on-line and like to visit our site... I am pretty sure you will find good music to buy at a good price! Good news for Bill Champlin's Fans! 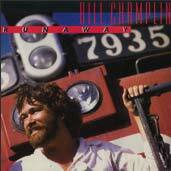 On April 08, 2008, "Runaway", the 2nd Bill Champlin's album as a solo artist will be available at Itune Store (US). "Runaway" was released in 1981 by Elektra Entertainment and includes the songs "Sara", "Tonight, Tonight", "Take it uptown" and "Satisfaction".